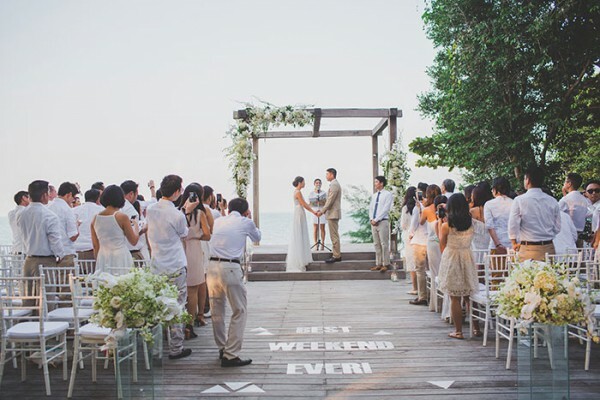 A destination wedding in Koh Samui that feels like a soft spring breeze to the heart. 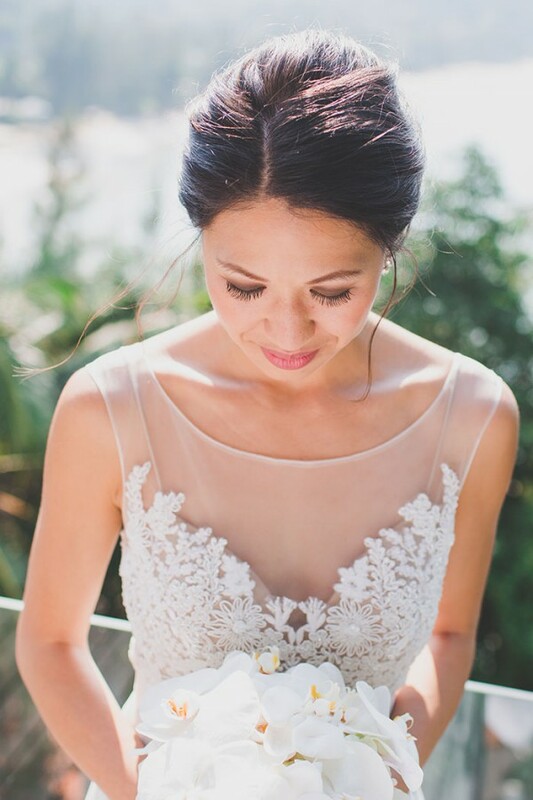 The texture of this gorgeous beach wedding is gentle, ethereal and flowing like a soothing musical note played on a harpsichord. 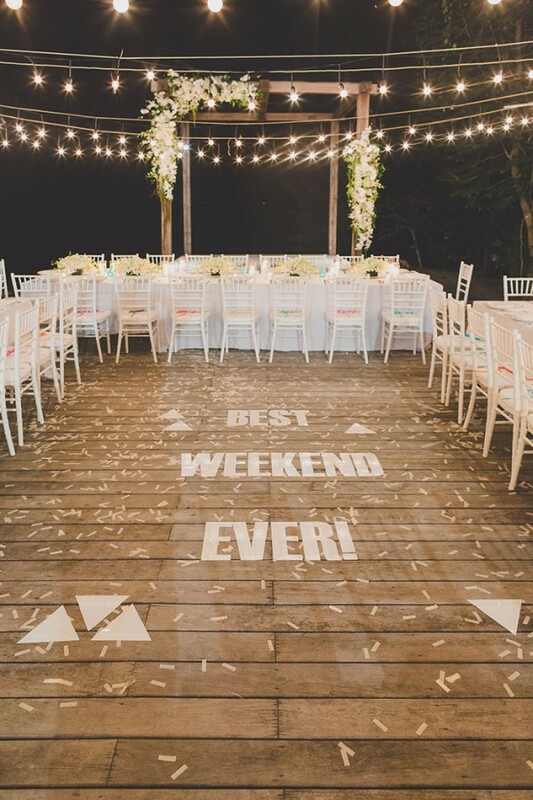 The wedding was planned with the intention of having the best weekend ever; sunny smiles and happy tears suggest that’s exactly how it was. 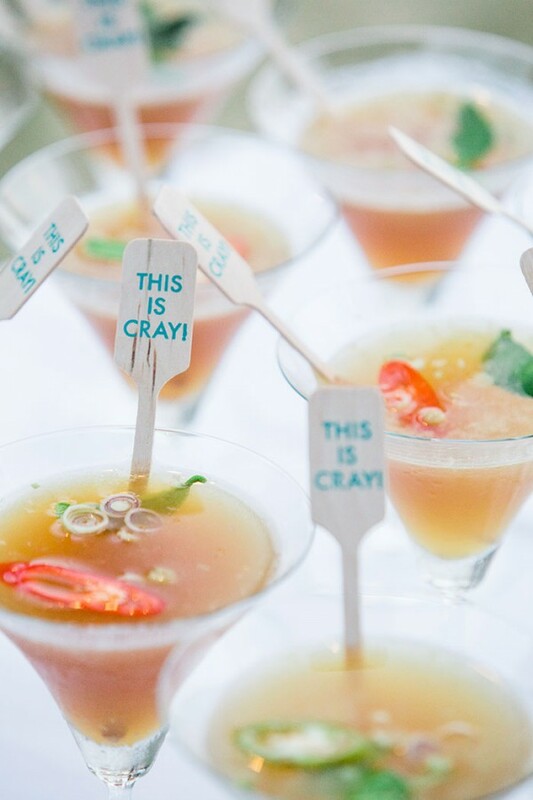 We are especially awed by the delightful graphic details that are generously thrown about like confetti. 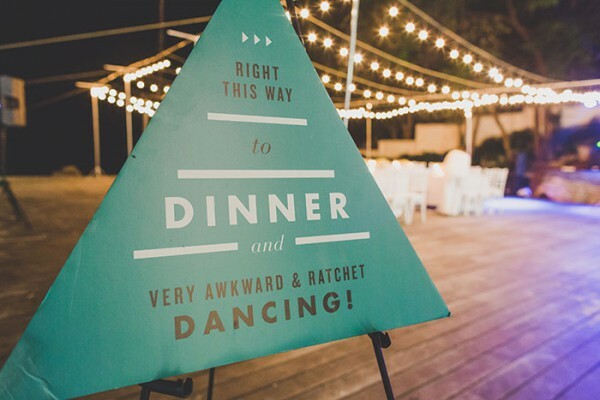 Be it the crazy signage for the dance floor or welcome kits for guests, or the door knob card or the food menu, or ceremony floor-lettering, Small Paper Co. simply nailed it. Tons of inspiration right here! 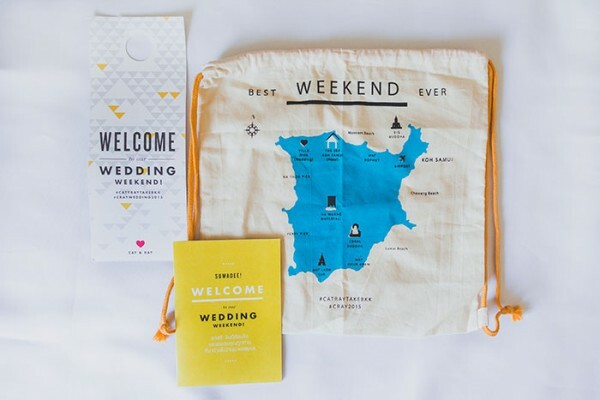 It is rather sweet how the couple has endeavored to give their guests a memorable vacation as opposed to a day of ceremony attending and isn’t that the whole purpose of having destination wedding anyway. 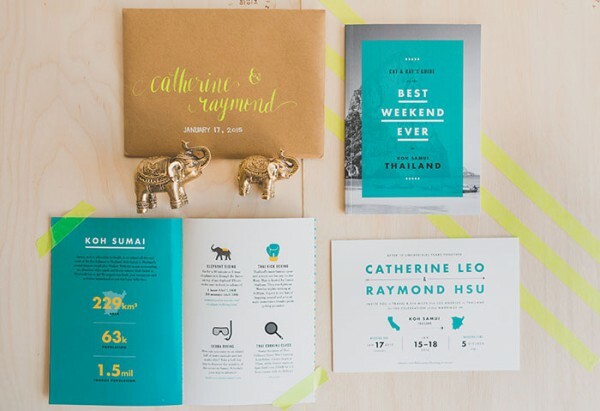 Tip: Have an intimate guest list, more so for the destination wedding, it really makes all the difference. It’s all about spending quality time with your special ones. 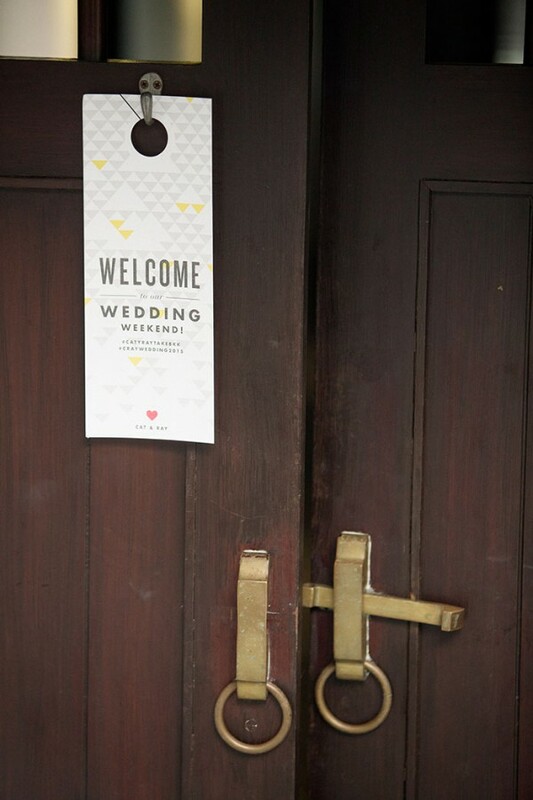 The couple wrote personalized notes for each of their guests to thank them for being a part of their special day and also planned fun games to make them feel welcomed and get to know each other. 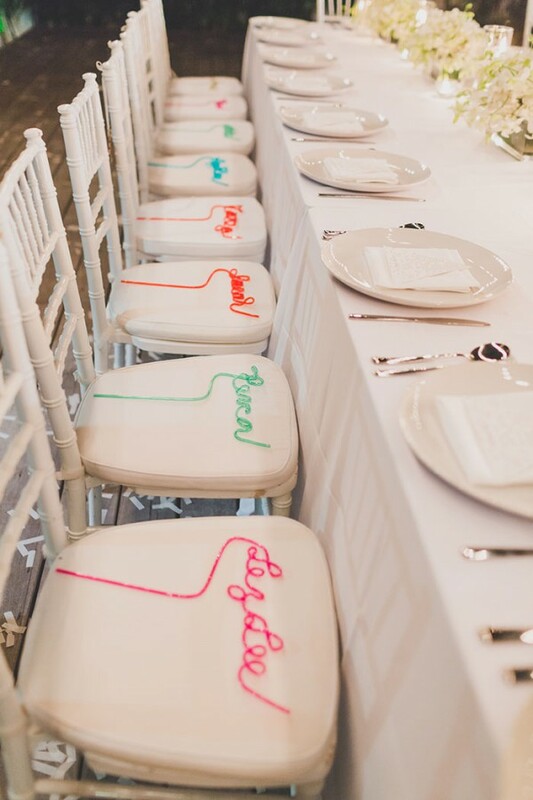 It is heartfelt gestures like these that make any wedding unforgettable. 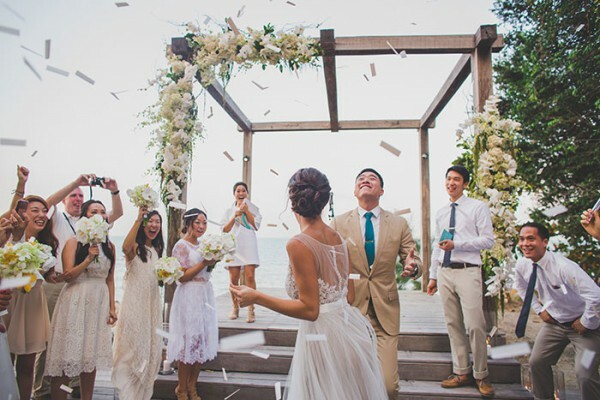 How we love the airy and cascading gown of the bride, going perfectly with the vibe of a beach wedding. 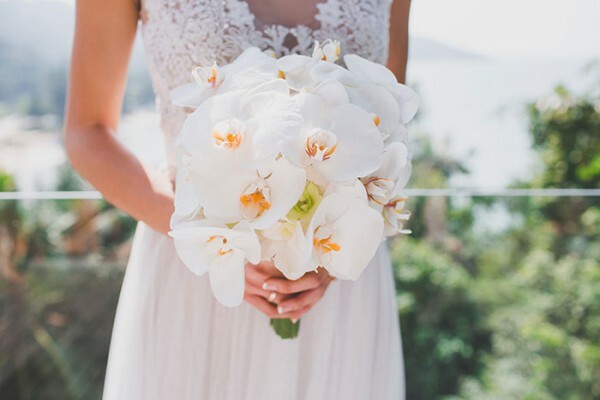 The bridesmaids’ were also dressed in subtle hues of ivory and white, seamlessly blending with the natural environs. 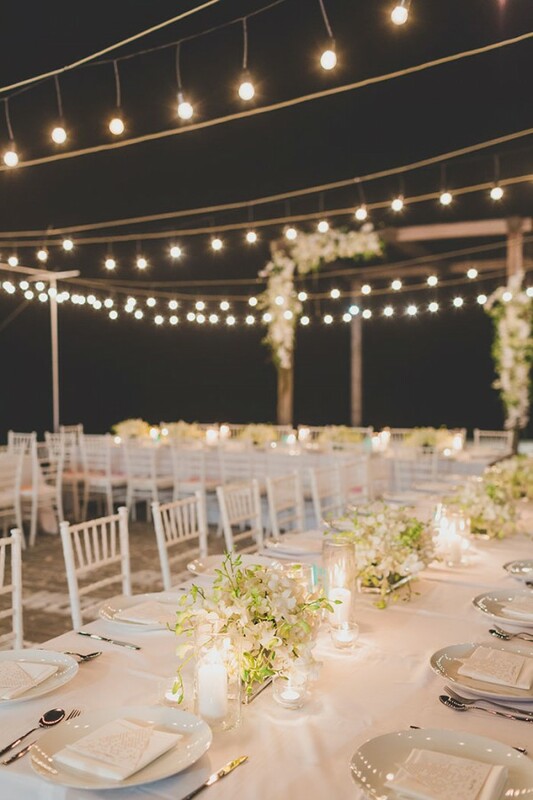 Even the décor was done with white flowers and candles, there is nothing really conspicuous about any of it, and everything just seems to be an extension to the already existing lovely setting. 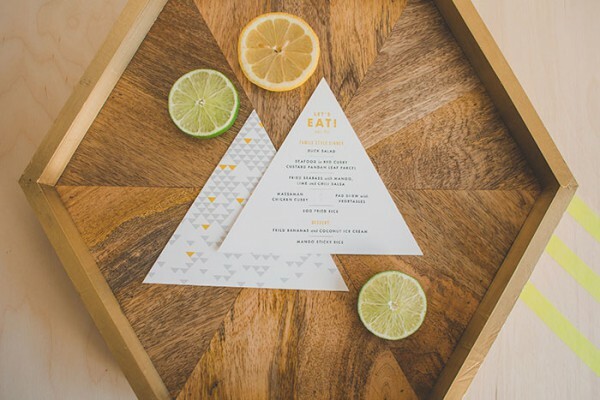 Once again reminding us less is always more! 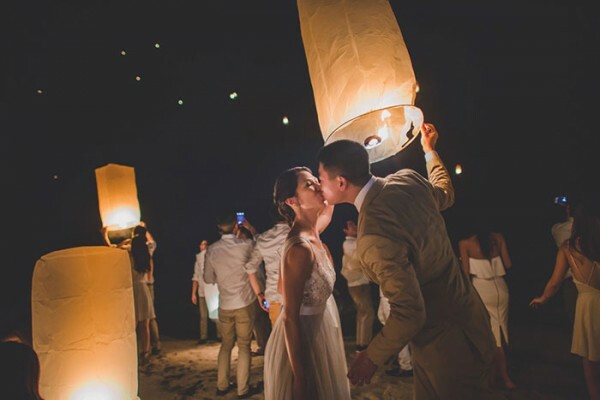 Since it was a destination wedding in Thailand, how could it possibly have been complete without the sky lanterns, Thai people considered it a good luck to release sky lanterns as they are symbolic of worries and problems floating away. A good note to start the new journey with! And yes, of course, there were scintillating fireworks. 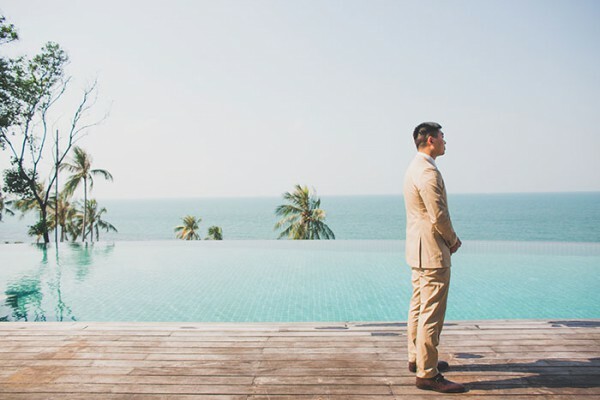 We can really go on about this dreamy beach wedding in Koh Samui, which we need say is a fabulous destination for a beach wedding. 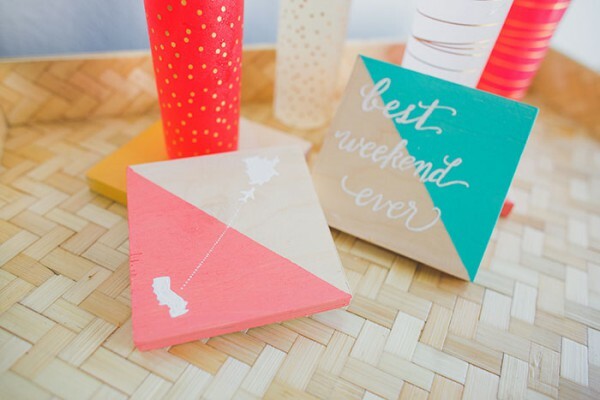 So in case you were still wondering which beach destination to finalize, we have given you the cue. 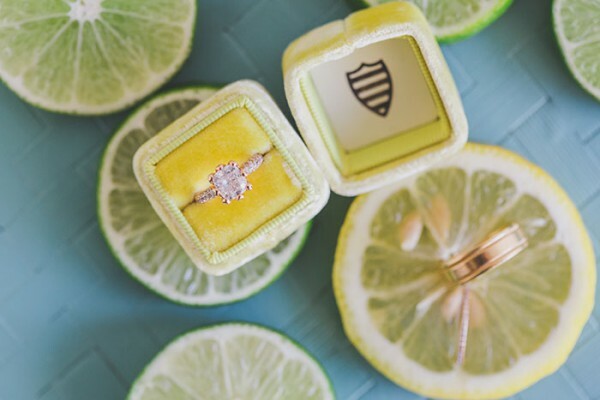 So without further ado, scroll through the collection of lovely pictures by Christine Farah Photography and watch the video by Studio 205 Films. cat + ray same day edit from studio205films on Vimeo.